A bet changes both Justin Slade and Katherine Grady’s life forever. Justin is shocked to find Katherine in Silver Springs Nevada and with a child that is very obviously his, but Katherine thought Justin was someone else so they have to pretend that her son isn’t Justin’s for awhile in order to spare Justin’s friend’s family. It was a nice twist on the secret baby story with Katherine honestly thinking Justin was a poor hog farmer who died overseas, so the shock of finding out that Justin is both alive and not the person she thought he was added a nice element of drama. Justin quickly falls in love with his son and realizes that he never fell out of love with Katherine even if he’s angry about some of the things in Katherine’s past. Overall, it’s a sweet romance and very much a representative of the type of category romance that one expects when picking up a Harlequin Desire story. It had a decent plot, fun characters, and well described scenery, especially since I’ve been to Silver Springs Nevada a few times. 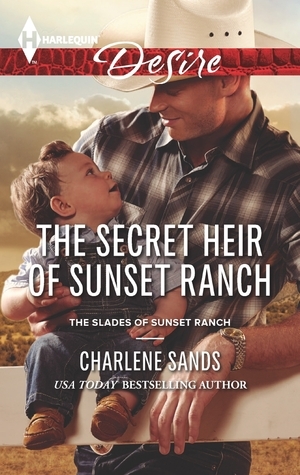 The author has done her research and does a good job of writing a cowboy story with soldier elements and I enjoyed reading it.